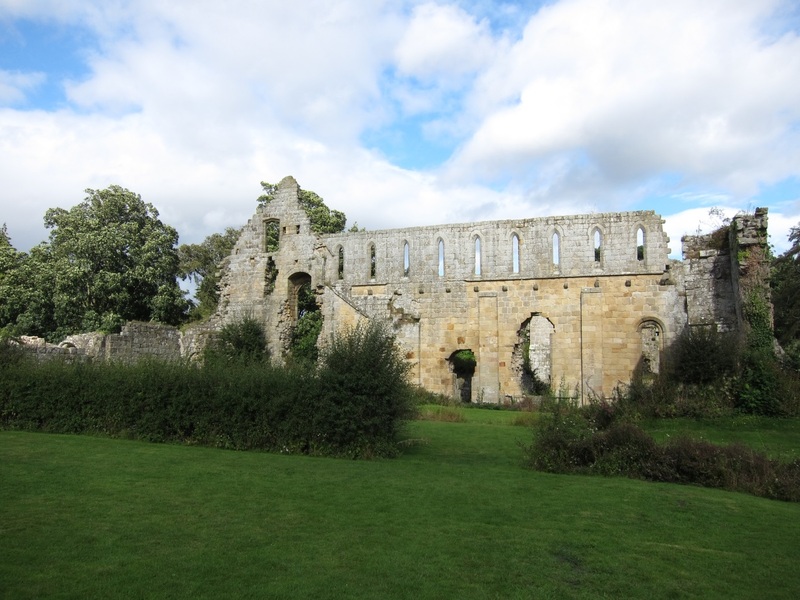 Jervaulx Abbey is on the A6108, some fifteen or so miles north of Ripon in Yorkshire. In private hands, the ruins of the great Cistercian Abbey are sensitively managed and it is rather nice to wander amongst the ancient ruins with no interpretation boards or audio guides to distract from the atmosphere. 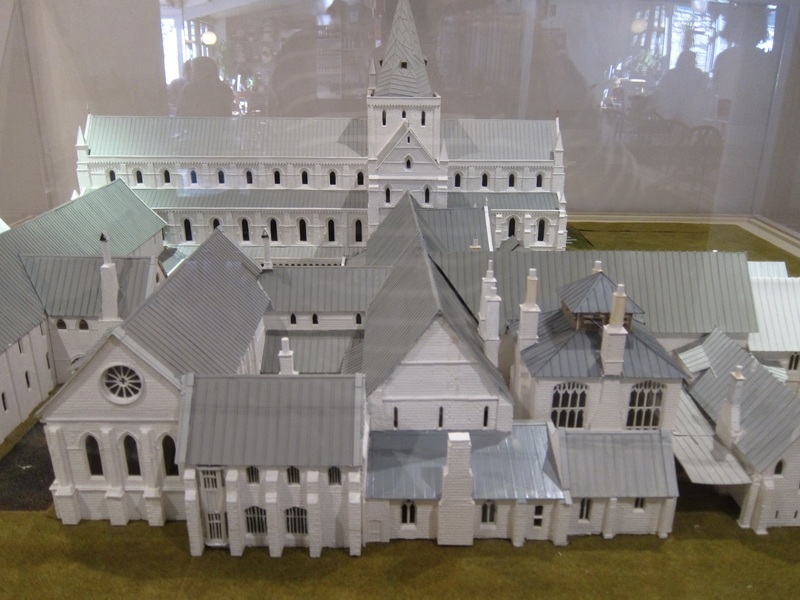 Parking is on the opposite side of the road to the Abbey, where there is also a new cafe and a fabulous scale model of the abbey in its heyday. It is worth looking at that before going to the grounds themselves so that a picture may be formed in your mind of the sheer scale of the structure. Cross the road and pass through an old kissing gate into a field which opens out into a gentle sloping valley, dotted with sheep - perhaps the very descendants of the monks' flocks. 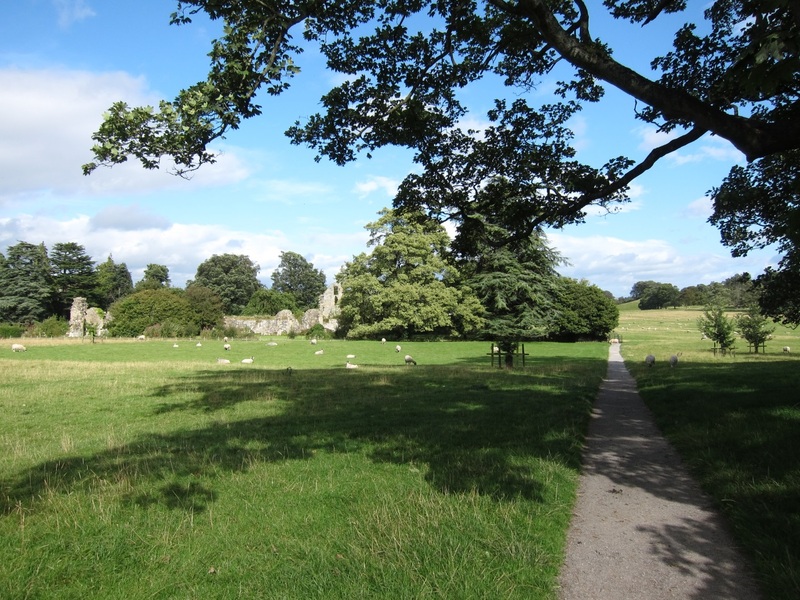 The Cistercians deliberately chose remote and tranquil places for their foundations, and the beauty and serenity of the landscape allow you to understand their longing for solitude. In front of you are the vast remains of one of the greatest abbeys in all England with an Abbey Church and Choir some 270 yards in length. Visitors are free to wander amongst the ruins, seeing the pillars that once upheld the enormous roof, and the traces of the last buildings to be up in the early sixteenth century with their distinctive Tudor arches. Wildflowers clamber over the ruined walls, and the faint baaing of the distant sheep give the place a timeless quality. Concerning the rasing…of the House…I am minded to let it stand to..spring…by reason that the days are now so short, it would be double charges to do it now. And as concerning the selling of the bells, I cannot sell them above 15 shillings the hundredweight, wherein I would know your Lordship's pleasure whether I shuld sell them…or bring them up to London…surely the carriage will be costly..